In 1973, Midland’s Open Door started with the mission to share the hope and freedom found in Christ with the relationally and spiritually poor. 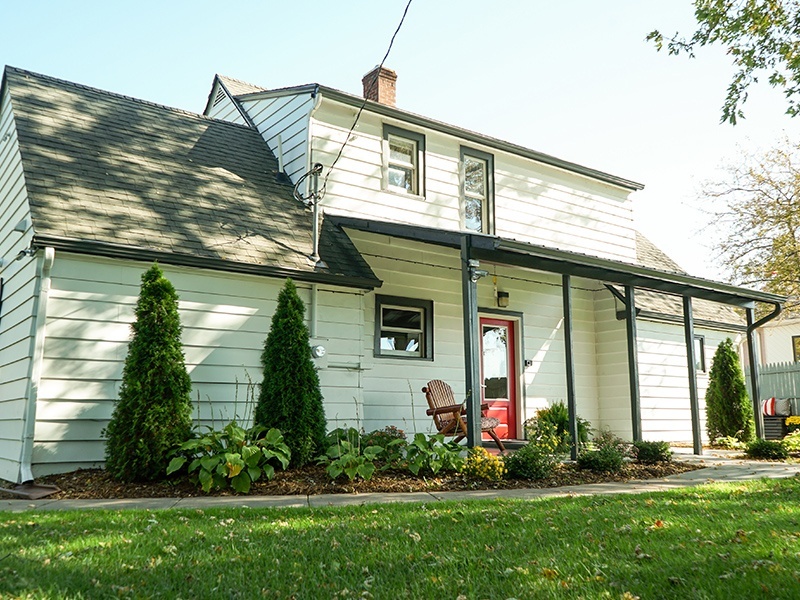 Today, more than 40 years later, the door remains open, welcoming the vulnerable and distressed and providing meaningful help in the form of food, shelter and clothing, and lasting hope through healthy supportive relationships. Scripture outlines God’s rich compassion and concern for both the spiritually and materially poor. In a rather unique way, the ministry of Midland’s Open Door provides a platform for the daily demonstration of the gospel of Christ. Found in the self-giving love of Christ, scripture demonstrates that caring for the needs of the materially poor gives evidence of true faith (Acts 9:36, 10:4; Romans 15:26; Galatians 2:10). Faith and good works are no longer isolated (James 2:14-18) but are joined to punctuate the glorious grace of the gospel, daily shaping our response to our brothers and sisters in need. With overwhelming biblical hospitality, we aim to demonstrate the hope of Christ from the very moment a man, women or child walks through our door. When this is combined with the consistent support and encouragement of healthy relationships that reflect the heart of Christ, transformation begins. 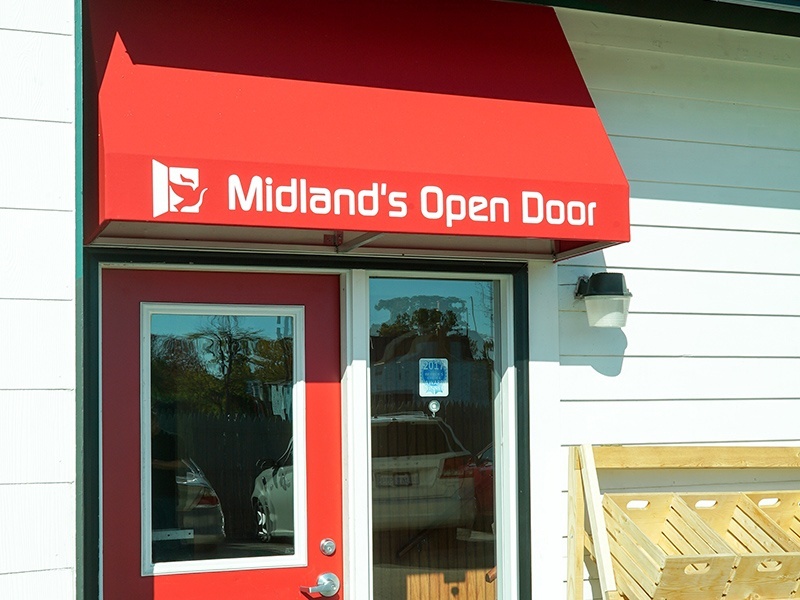 Midland’s Open Door has two locations to serve our neighbors in need. 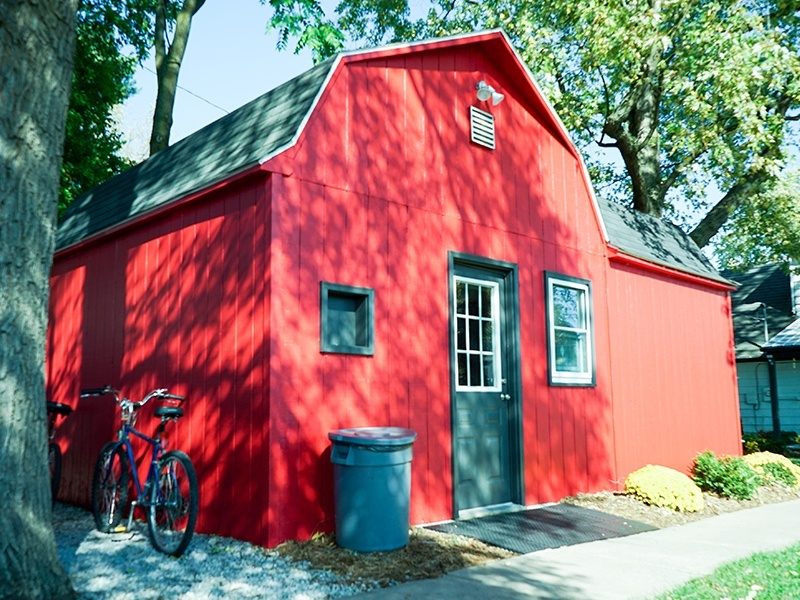 Our main campus at 412 W Buttles Street houses our men’s shelter, soup kitchen, clothing ministry and administrative offices. 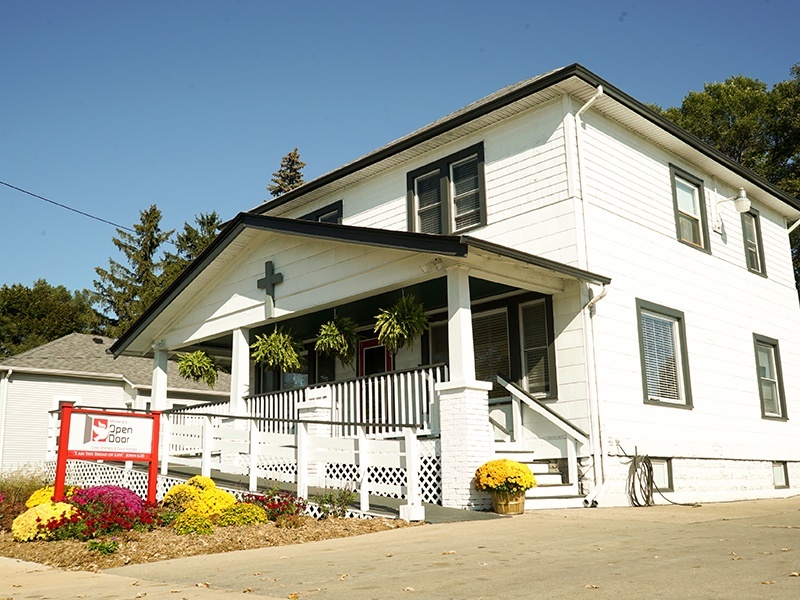 Our E Chippewa River Road property houses our women and children’s shelter. As an extension of the Church, Midland’s Open Door exists to lead the homeless, hungry, and hurting to transformed lives in Christ through the practice of biblical hospitality, the proclamation of the Gospel, and engagement in biblically based programs and services of excellence. Midland’s Open Door desires to see every man, woman, and child that God brings to our door experience the life-transforming power of the Gospel of Christ, becoming faithful disciples and stewards who enjoy God, utilize their gifts to serve others, and lead godly, interdependent lives.